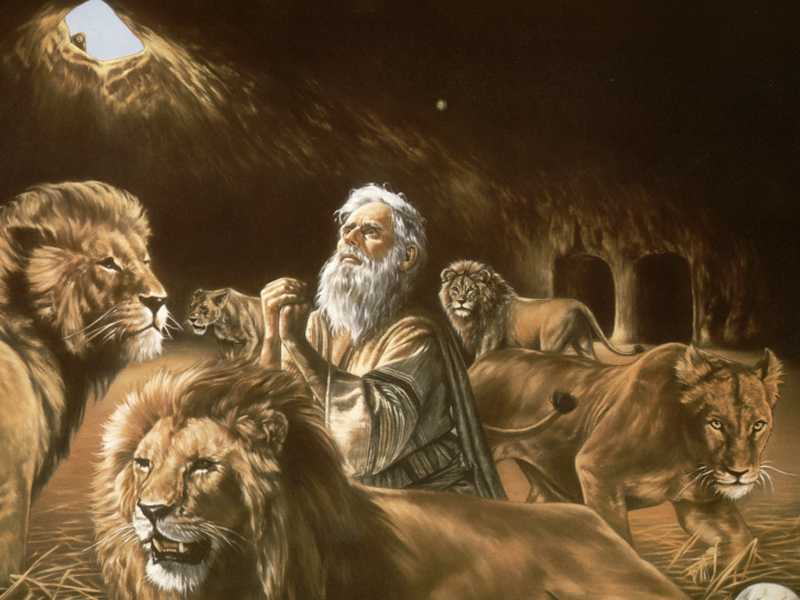 Daniel and his friends were a foursome when they arrived in Babylon and took their training in the language and literature of the Babylonians. Together they dined on vegetables and water. Together they became administrators over the province of Babylon. 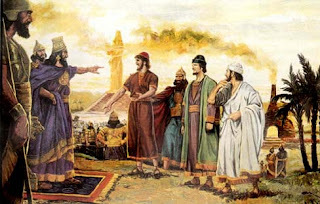 Then King Nebuchadnezzar set up his image of gold. He summoned all the officials to attend the dedication. When Shadrach, Meshach, and Abednego refused to bow down to the image, they got tossed into the fiery furnace. Where was Daniel? Surely he’d been “invited” to the dedication. Was he sick that day, despite his healthy lifestyle? Years pass. Now Darius is on the throne. His straps stroke his ego with the command that anyone caught praying to any but the king be tossed into the lions’ den. Daniel was their target, and Daniel they bagged. Where were Shadrach, Meshach, and Abednego? Didn’t they also annoy the straps? Had they already died? All three of them, on their healthy diet of veggies? And why is Daniel usually referred to throughout the book as Daniel instead of his Babylonian name Belteshazzer, while Hananiah, Misheal, and Azariah are known by their new names?